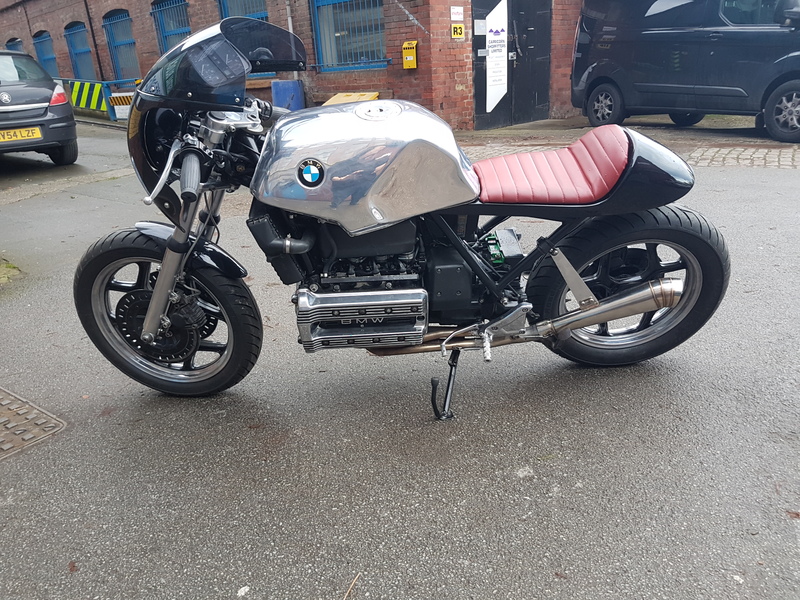 This BMW K100 is one of our more recent builds which showcases some of our products as well as the skills of our mechanics. This bike was built by ourselves to show the wide range of products we stock. The seat is made from our own design and was specifically designed to fit the K100 and then we added one of our new deluxe pads to add comfort for the rider and to add a Cafe Racer look. We also added our uniquely designed BMW fairing onto his bike which we made in house here in Sheffield. We have also added our CRM2 mudguard which again is designed and made in house by ourselves. The tank for the K100 was then polished by our head mechanic Martin and he has made a wonderful job of it.